What a bizarre place! The vast majority of our 59 national parks are gigantic areas of natural wonder. Think Yellowstone, Death Valley, or The Everglades. A handful are geographically limited points of staggering beauty, such as Carlsbad Caverns. 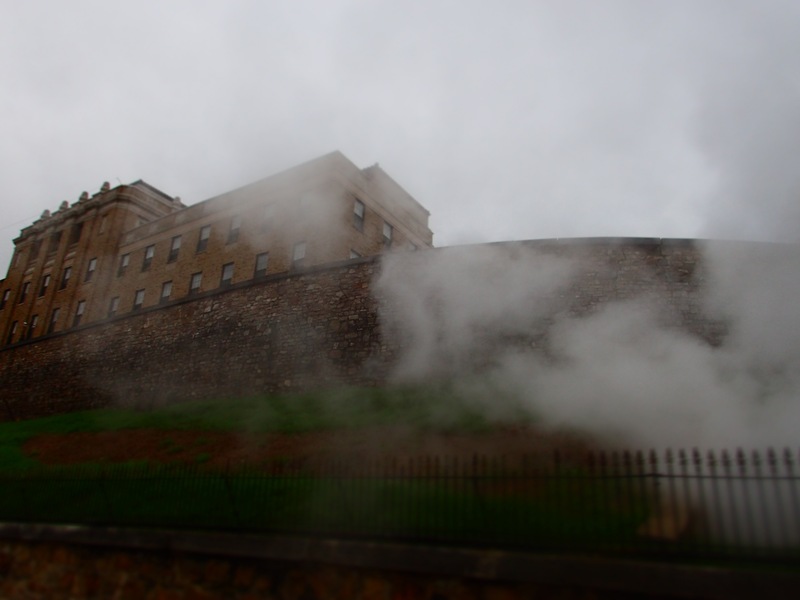 Hot Springs National Park is unique and out of place among the list; it is, essentially, a monument to 19th and early 20th century European style bath houses of ever increasing opulence making dubious health claims. The official park patch is an embroidered bathtub! And yet we extended our stay to four days. 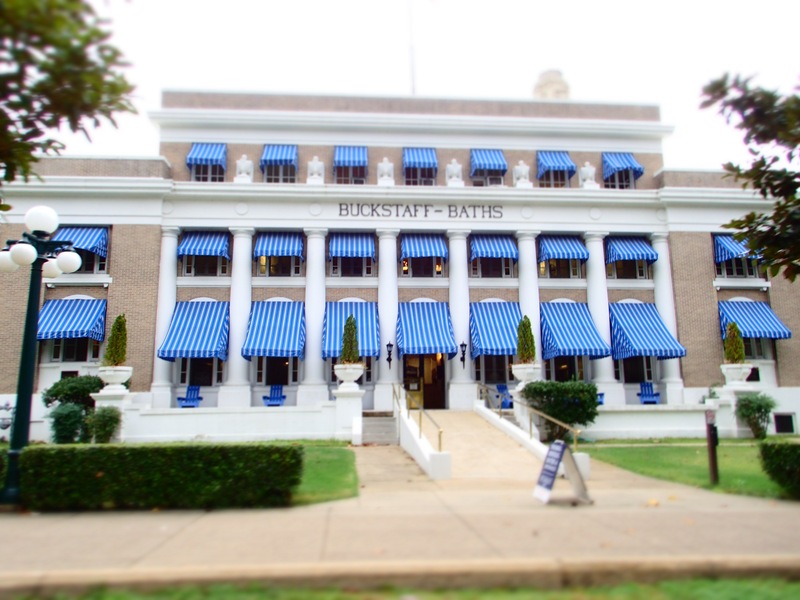 Being unexpectedly limited to only one day at Natural Falls State Park put us ahead of schedule in our turn east to Hot Springs, Arkansas. 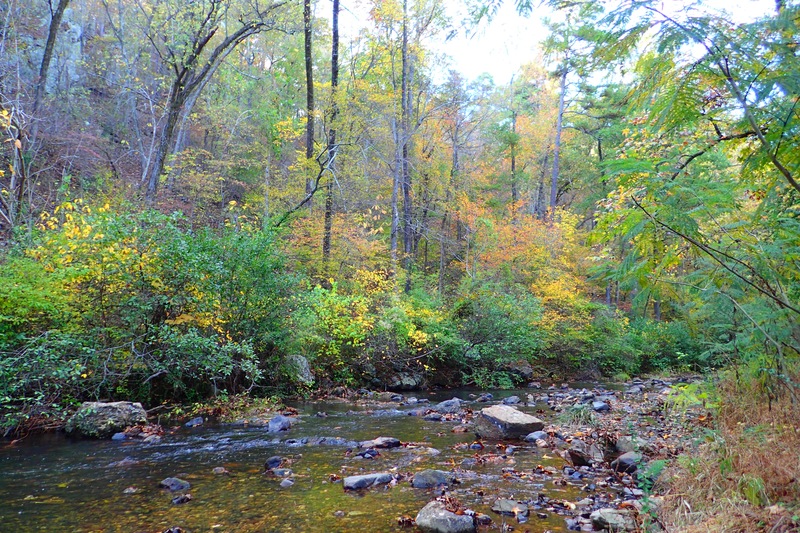 This also meant we would arrive without reservations, but research suggested that should not be a problem since the sole campground, Gulpha Gorge, is a little known destination in a relatively unknown park. Sure enough, despite arriving on a Friday in advance of a beautiful weekend, the place was perhaps half full. Gulpha Gorge offers either drycamping or full hook up sites, $10 for the former and $30 for the latter. While there were a few hook up spaces available, we really wanted one of the prime spots directly on the creek running through the campground, and only the drycamping spots there were open. Good enough, that allowed us to save some money in a month where we are determined to be under budget despite an aggressive, fuel eating schedule. We backed into our site, made payment at the automated kiosk, hooked up the generator, and almost immediately took Loki into the historic section of town. After some mildly frustrated exploration for parking during which we realized that we had forgotten to bring any cash, much less change for the street meters, Rosemarie spotted the free parking garage one block from Bathhouse Row. What luck that we didn’t wait until the next day to come into town; at one of the historic bath houses, now converted into a cultural welcome and contemporary art center we learned that on the first Friday of each month the numerous galleries in town host an evening art walk, and we had arrived just in time. We explored the welcome center, headed back to the bus for a quick meal and to make ourselves a bit more presentable, then returned to town for the 5PM start. We started with a tour of the art gallery in the former Ozark bathhouse, culminating in a short comedy show from a local troop of elderly performers. Then it was on to the rest of the venues, most offering refreshments, usually including wine and light hors d’oeuvres. The galleries ranged from very affordable places that were not much more than a local knick knack craft store, to high end displays of multi-thousand dollar original works. At one such place a local wine enthusiast was “sharing” bottles from his private collection, including excellent vintages going back to 2002. It beat the crap out of the Barefoot zinfandel next door (though we were thankful for that as well!) He had a tip jar and seemed to be doing quite well. While the town was interesting, the real reason we extended our stay to four days was the campground, which vastly exceeded expectations. We have been disappointed with the RV sites in most of the previous national parks we visited. Everglades’ was weak, Yellowstone’s was awful, Big Bend’s was a parking lot with power, and Joshua Tree’s was a chaotic hell. The pattern seems to be that most of the drycamping areas, operated by the National Park Service, are great and affordable, whereas the full or partial hook up campgrounds, usually operated by a concessionaire, are some combination of overpriced, ugly, crowded, and run down. Gulpha Gorge defies this pattern. 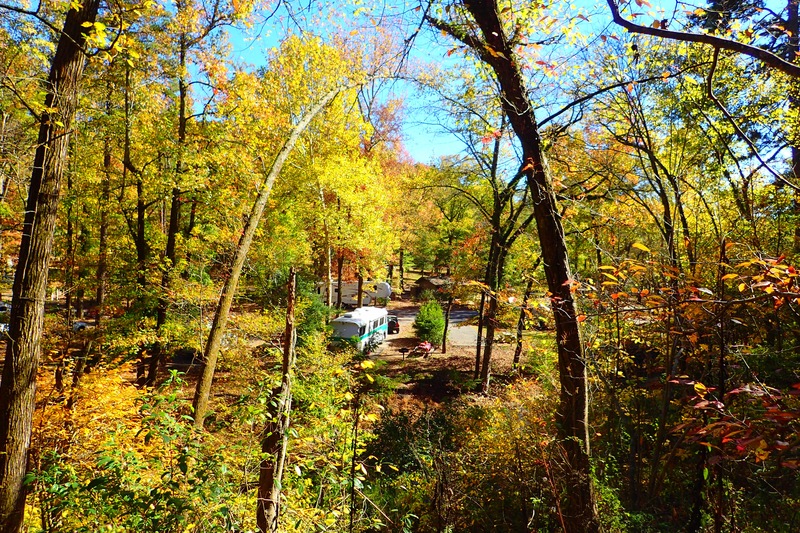 As mentioned above, it is a mixed facility with both drycamping and full hook up sites, and it is beautiful. Plenty of trees, hiking trails directly accessible from the campground, an idyllic, clear stream running through it, and located one mile from downtown but seemingly isolated by the mountains and forests. We just loved it, and relished a slightly extended stay beyond our usual two or three days. It’s not a perfect campground; an unfortunate number of the sites are unlevel, some exceedingly so, and there is no shower facility at all. In deference to the later and tiring of the generator noise, when two of the creekside hook up sites opened up on Sunday we pounced on one, enjoying our last two days there in luxury. We found a brochure with the actual chemical analysis of all the public springs, and filled from the purest. After our fantastic first day in town, we spent the remainder of our stay touring the area on foot and in Loki. 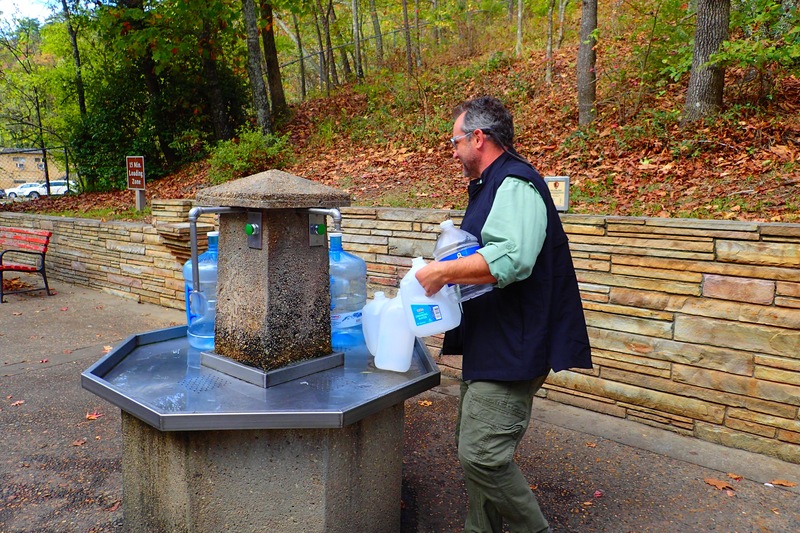 We drove the steep mountain road to the historic tower overlook, hiked the loop trail from the campground, and filled up multiple water jugs at the purest public spring station in town. We also sought out the public library, as we had done in Loveland, and used their free wifi since we had blown through nearly all of our own data plan for the month. 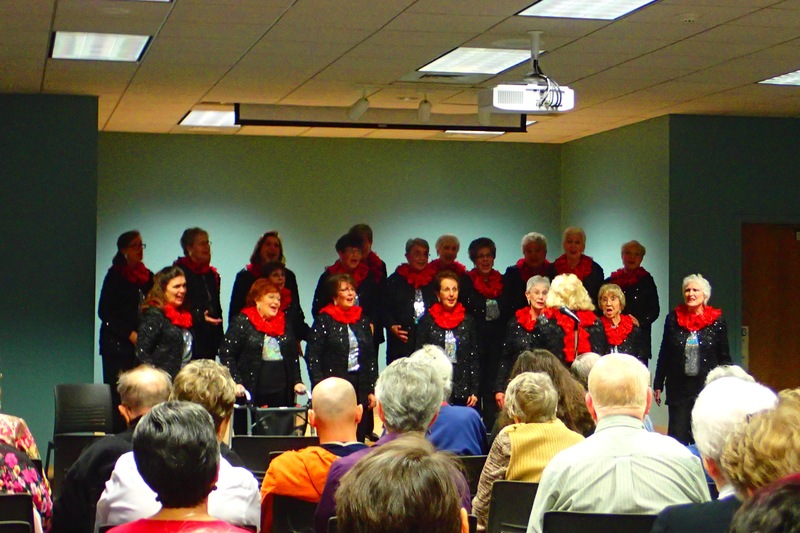 During our short afternoon there a local choir group gave free concert. So there you have it, a fantastic stay in America’s oddest national park. Such unexpected discoveries are the sort of thing that make full time RVing a delight, and we look forward to many more of them. 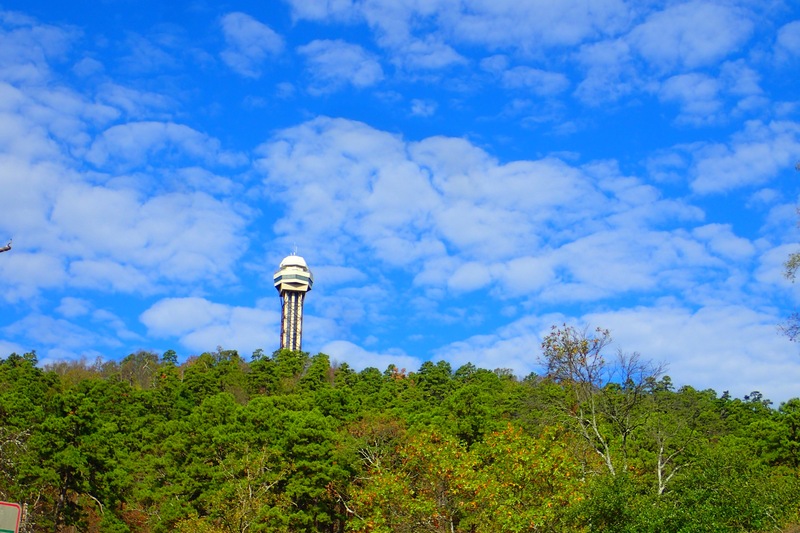 Modern observation tower on top of one of the park mountains. 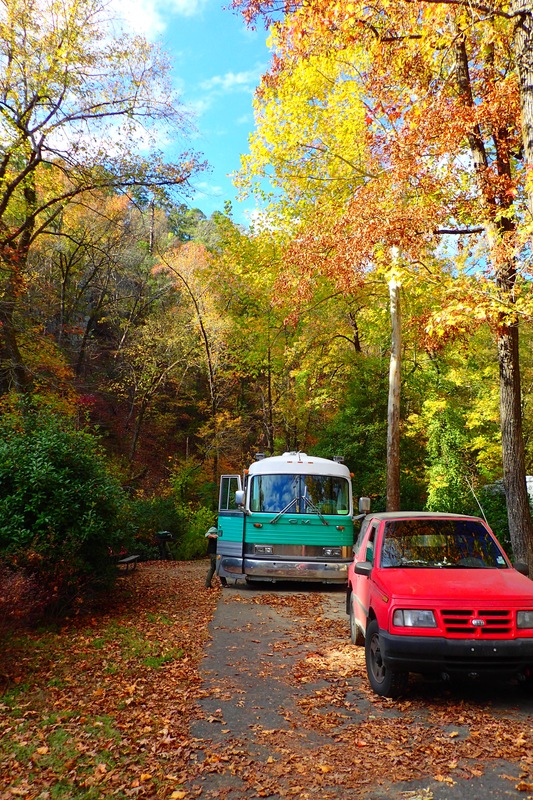 Your photos of the Gulpha Gorge campground look exactly like what we were hoping for! We were heading there today, planning to stay for several days on our way to Florida — but the forecast of storms and flash floods has us continuing on the road to Memphis instead. Fun review of the park and great photos. We’ll definitely keep it on our list for next fall! Oh Laurel I wish the weather had been more cooperative! Where in Florida will you winter? Perhaps we can meet up! We’ll be mostly on the Gulf coast and in the Panhandle. How about you guys? Would be fun to connect! Laurel, I doubt we will be in the panhandle, but we will spend a good amount of time near Venice and Sanibel. Possibly as far north as Crystal River, but mainly the first to spots. While you’re in Memphis be sure to check out the Cheesecake Corner in downtown. It’s a little expensive but delicious. Too late, maybe next time! We enjoyed our time there as well. We even found a trail that took us into town from the campground too. I can’t remember the year, maybe 2010 and I believe the price for dry camping was $10 then too! 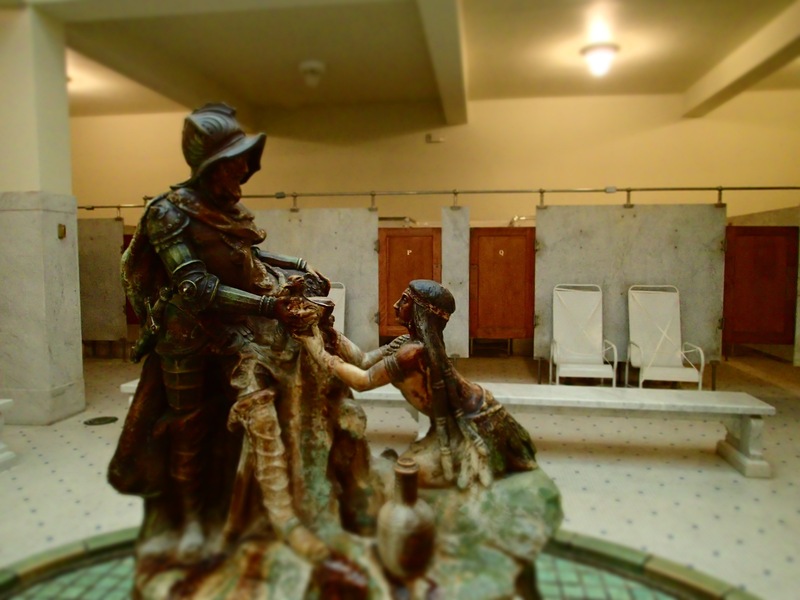 Some of those bathhouses looked like torture chambers. Yes we saw that section of the trail as well. We only toured one of the bathhouse, but it was the one with the original fixtures.